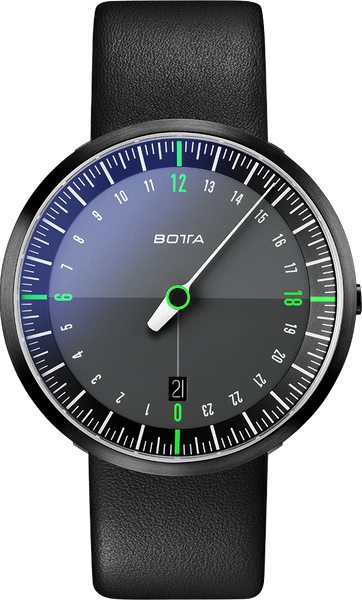 The concept of the UNO 24 one-hand watch from Botta-Design is still unique. 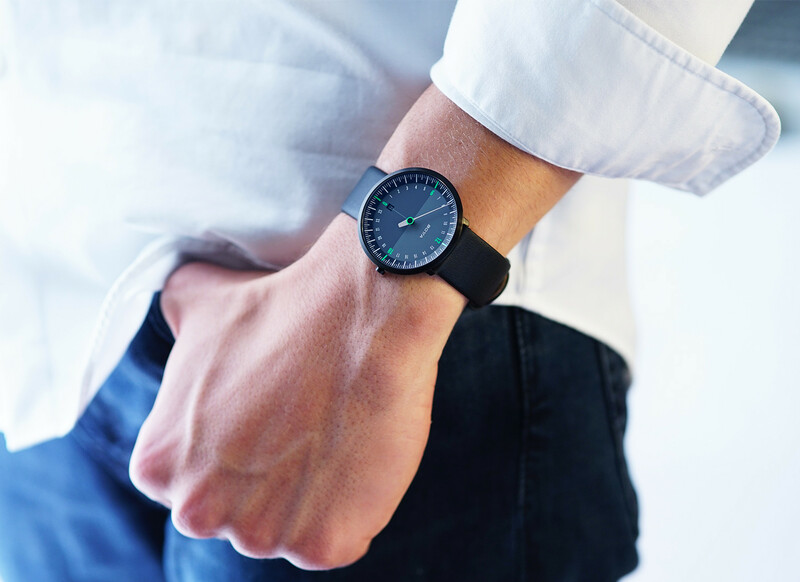 No other watch manages to present the passing of the day at a glance in such an intuitive way as it does. 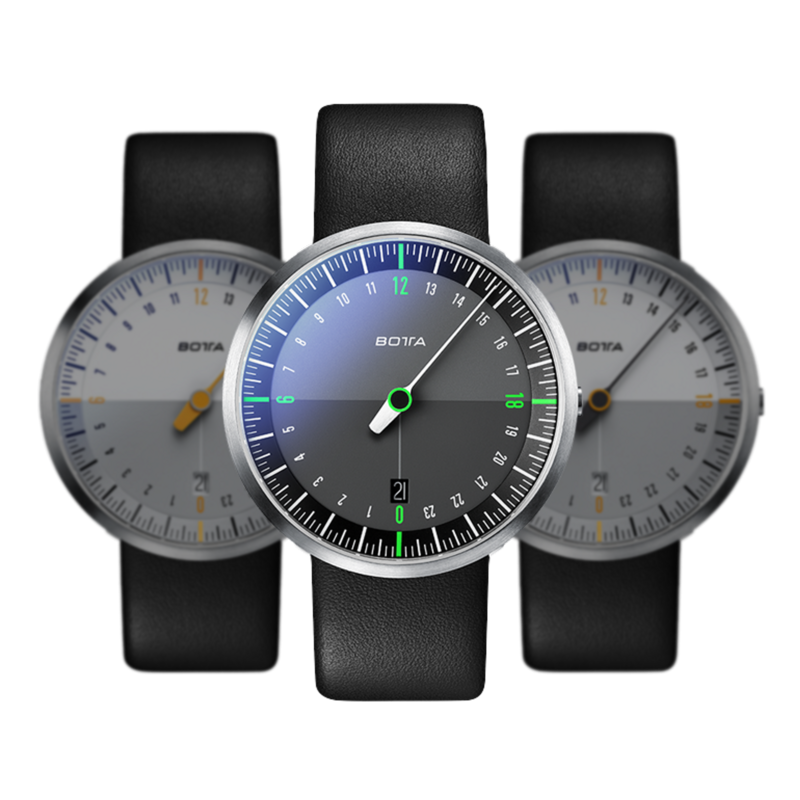 The newly-developed dial design in the UNO 24 NEO perfects this display principle. The stainless steel case of the “Black Edition” features an extremely resistant black PVD coating which gives the watch a refined semi-gloss look. We applied the latest findings of perception research to the dark-coloured version – it has been found that the human eye reacts with particular sensitivity to the colour green in low light conditions. 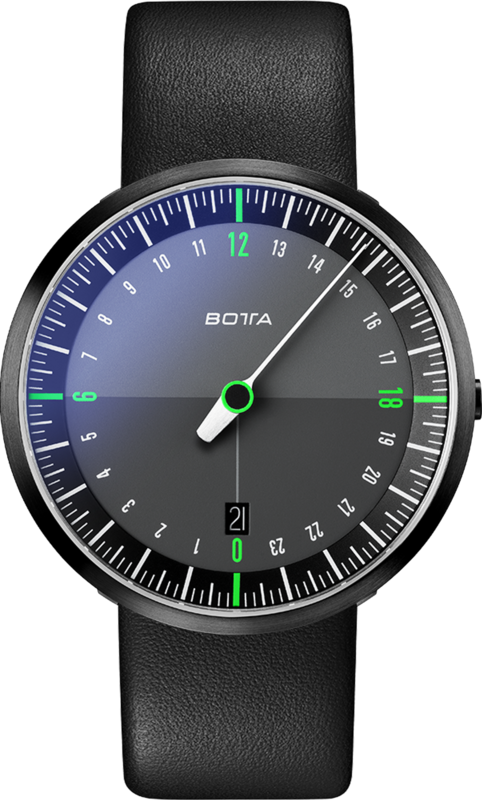 The striking green quadrants therefore make it easier to tell the time when there is little ambient light. This is also facilitated by the hand, which is made of finely brushed stainless steel. It absorbs the ambient light and reflects it back at high contrast to the wearer. 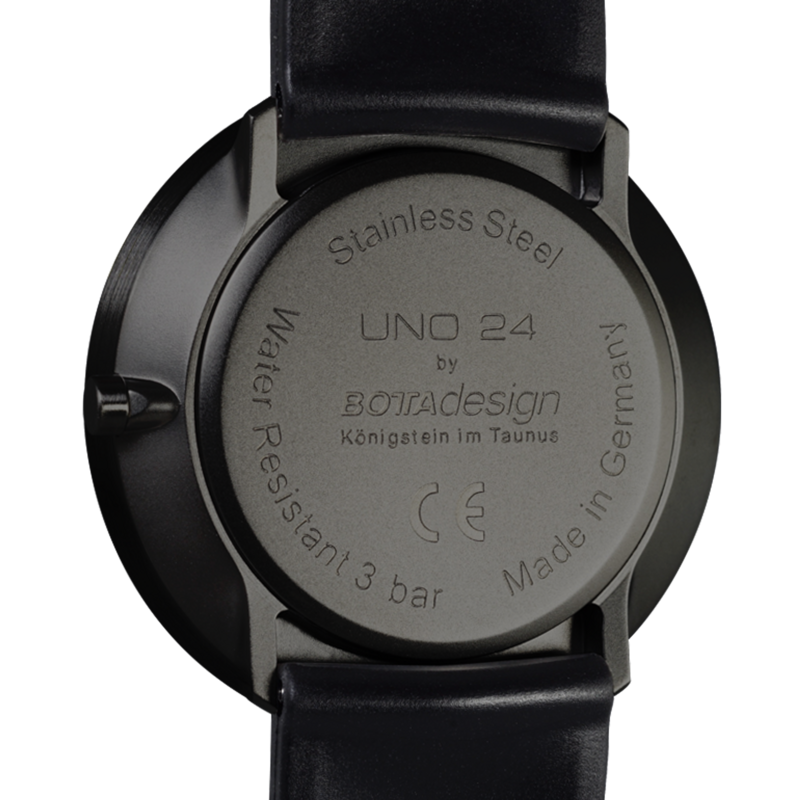 The UNO24 NEO Black Edition Quartz will be shipped 0. Until then, the model can be pre-ordered at a discount of € -398. Shipment will be on a first come, first served basis.